vom 10. – 14. Oktober 2013 findet in Rethymno die Europameisterschaft im Kleinfeld-Fußball statt. Rund 20 Teams werden aus ganz Europa anreisen und auch Deutschland wird mit einem Team vertreten sein. Im Vorfeld versuchen wir nun einige Informationen über Land und Leute zusammen zu tragen und sind dabei auf euren Sender gestoßen. Wir würden uns sehr freuen, wenn ihr über dieses Ereignis berichten könntet. Unser Anliegen ist es, natürlich neben der Bekanntmachung der Veranstaltung, Fans für die deutsche Mannschaft vor Ort zu gewinnen. Dies betrifft zum einen Auswanderer und zum anderen Urlauber, die eine Reise zu dem Zeitpunkt der miniEuro planen. Ich bin mit meinen Kollegen des Deutschen Kleinfeld-Fußball-Verbands vom 15. – 19. Juli auf der Insel, da am 17. die Auslosung statt findet. Wir ständen daher auch gerne für einen Vorbericht mit Interview zur Verfügung, falls von eurer Seite Interesse an dem Thema besteht. As preparations continue for miniEURO 2013 we catch up with George Marinakis, who is the Mayor of Rethymno, the city in Crete where it is taking place. First of all, we would like to congratulate you for the great success of managing to host miniEURO 2013 in your city, Rethymno. 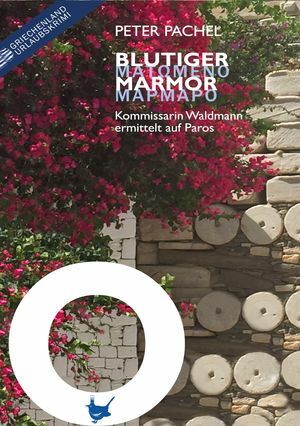 Is this achievement one big success of your touristic strategy for Rethymno? Firstly, I would like to thank you for your congratulations, but none of this will matter if our Municipality succeeds in fulfilling all the demands that this great athletic event has. Rethymno tries to reveal its quality in every offered way and our extrovert nature in every opportunity that appears. So, throughout the year particular events are being organized either by the Municipality or in cooperation with other organizations and institutions. Therefore, this mini- Euro 2013 is a great chance for Rethymno. And I believe that Rethymno will achieve to be the first choice among all the favorite destinations for holidays. Rethymno is one of the most beautiful cities of Greece and miniEURO 2013 is going to be broadcast to more than 20 European countries. Do you believe that miniEURO 2013 is going to help you in promoting Rethymno all over Europe? Rethymno is a really beautiful town, and it is said that it is a town that not only do you visit, but you also come back. We believe, as I already have mentioned, that our guests from the 20 European countries will be excited with Rethymno and will become the best ambassadors of our town and its beauties abroad. Which is your general feeling from your co-operation with the organizing authority in Greece? We realized really soon that the organizing committee consists of responsible people, with fresh ideas whose dream is to organize a great event in Rethymno. So, this positive energy and the good sensation we received from them, will be the key of a great cooperation in the specific sections that our Municipality will undertake to offer its help. Do you have a plan for supporting the miniEURO 2013 and the organizing authority on financial level from the side of the local municipality? All the Municipalities among Greece operate within strict budget restrictions, which do not allow direct and instant disbursement of money. This, though, doesn’t stop us from being effective in finding private sponsorships that will help the organizing committee. This is something that we constantly do and we know how to do it successfully. Do you think that residents of Rethymno are going to fill the Minifootball stadium in the matches? Will they create a magic atmosphere for the top event of Minifootball in Europe that Greek fans usually do? Rethymno is a lively town with an important University Campus and in October we still have thousands of visitors. It is more than certain that thousands of people will attend the games and they will support the healthy athletic spirit and will surely create a warm atmosphere. Are you a football fan yourself, will you be looking forward to watching some of the matches in miniEURO 2013? I am not only a follower of football, but when I was younger I used to be an amateur player as well. It will be a golden chance for me and for other people to attend football of excellent standards, so I will arrange my programme in a way that I will be able to be present at the games as many times as possible. Last years event was won by Romania, who do you think might win this time around? All football supporters that in this sport the predictions and “prophecies” are not useful at all. I hope that the best team wins and that the teams will offer a great show to all the people. Am Spiel aktiv teilnehmen werde ich nicht, dafür kümmern wir uns um aktive Berichterstattung. 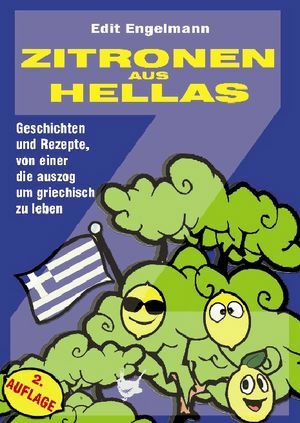 Freuen uns, Dich im Juli hier kennen zu lernen.